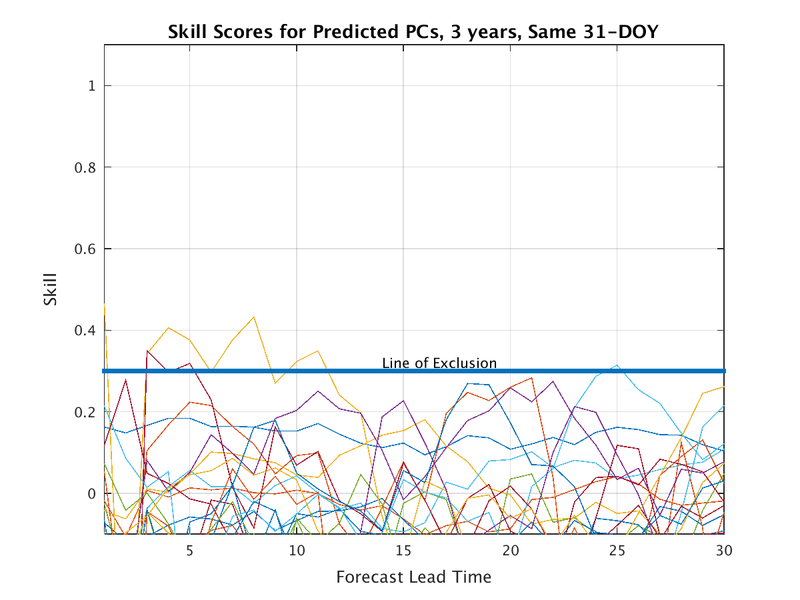 Beginning in August 2015, several products stopped regular updates because the code was incompatible with a new version of Matlab. Further, ftp servers have stopped providing some of the data sets that yield the products. Over the next several weeks, I hope to correct most of the errors, and my research group is considing an extensive update to our websites. The extended EOF databases used for these networks are most effective during the winter, when fewer eigenmodes are required, or, for the global eigenmodes, in the winter hemisphere. Same as above, but based on global eigenmodes. Global eigenmodes 7-100 day periods only. 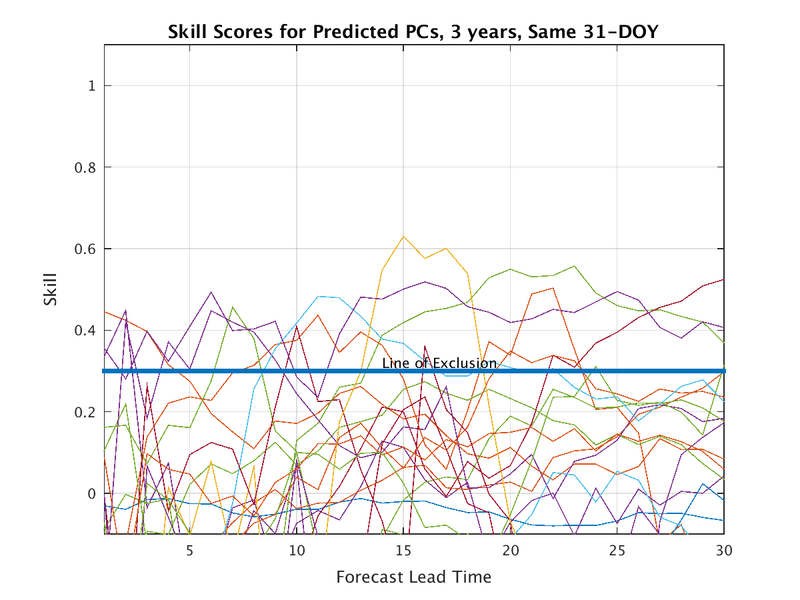 (Skill is benchmarked against climatology: The zero anomaly for each PC, and it is assessed for 31 forecasts in each of the last 3 years beginning each day from 15 days before to 15 days after the present day of year). 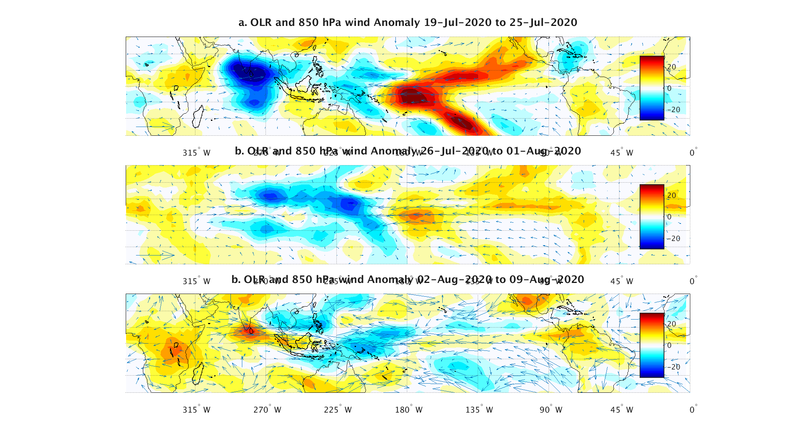 on ER and Kelvin wave states given similar MJO state. OLR anomalies, following my QJRMS article linked at the top of the page. Composite 300 hPa Geopotential Heights and OLR anomalies for each ENSO phase, based on days of year within 90 days centered 2 weeks from present. 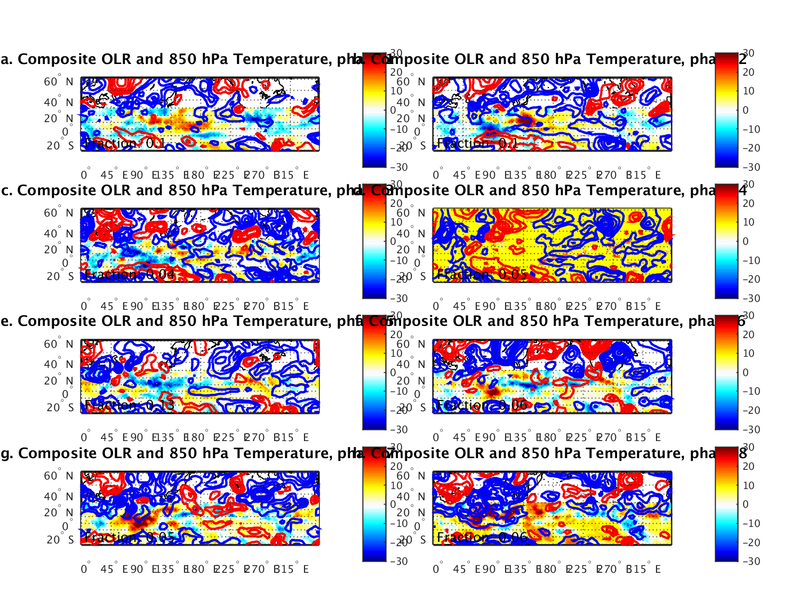 Composite 300 hPa Geopotential Heights and OLR anomalies for each ENSO phase 60 DAYS LATER, based on days of year within 90 days centered 2 weeks from present.